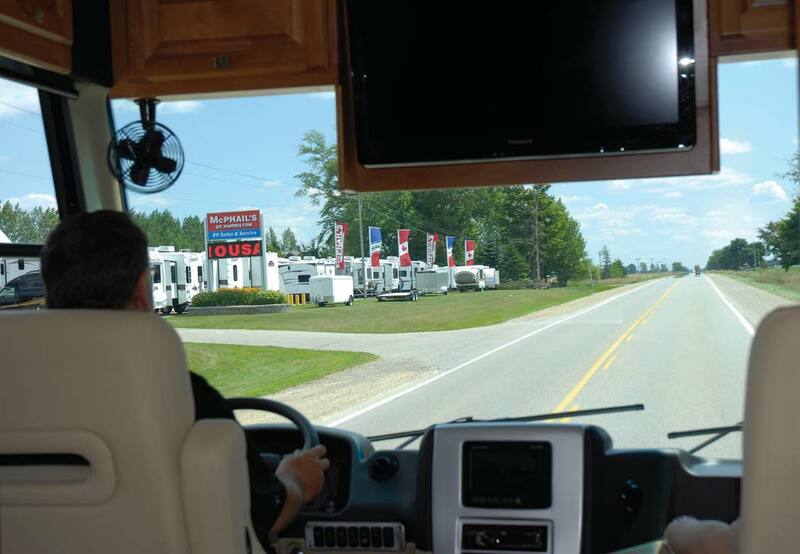 THERE COMES A TIME… TO PICK A FRESH MOTORHOME! 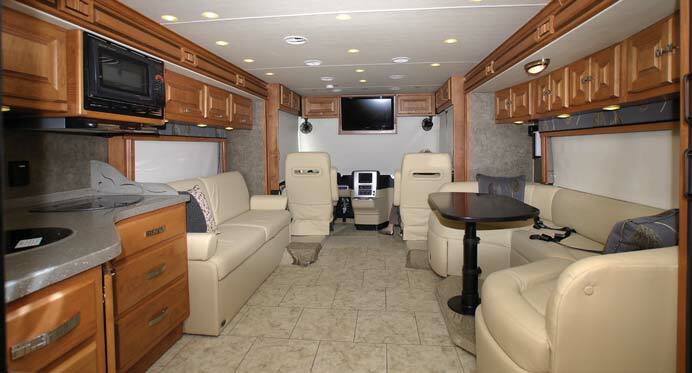 My Allegro has a different exterior paint scheme.. watch for me on the RV Roads to Adventure! 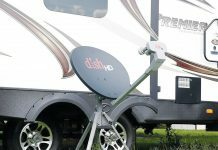 There comes a time when you have to decide whether it is practical to trade-in the motorhome that has served you so well over so many miles and so many years. The miles have added up, the tires are running close to their wear indicators, the interior has begun to show signs of wear and tear, the fiberglass exterior doesn’t look new anymore, the muffler has started to bark, and the engine no longer happily pulls the rig up the hills the way it used to. 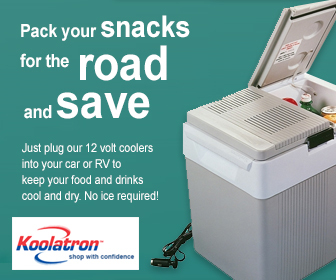 When you are planning a major cross-country trip, you want to be able to travel without worrying that you might have an expensive breakdown on the road. 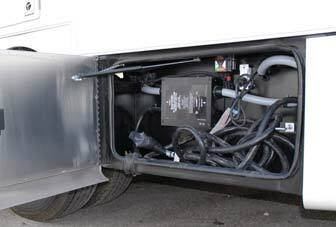 Despite the best preventative maintenance schedule, all mechanical entities wear over time, and even though your membership in an excellent road-side assistance organization will send a mechanic or tow truck to move your RV to safety when everything stops in the middle of nowhere, this is not an event to look forward to. 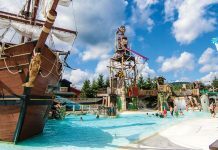 As a retired individual who travels extensively around the country writing about the RV Lifestyle, attending rallies, meeting with old and new friends, visiting RV Shows, and participating in organizations like the Canadian Standards Association and Recreational Vehicle Safety and Education Foundation, there are times when my schedule demands that I just have to get there. I don’t want to be late for the wedding! 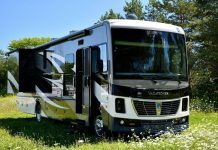 Now I don’t enjoy any preferential treatment when it comes to buying an RV, so I shop for the best deal on the most appropriate vehicle, and I work with an RV dealer who understands my preferences and my requirements, just like everyone else. 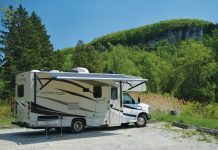 When I decided that it was time to replace my well-travelled Citation class A motorhome, the thought of buying a new RV was kind of frightening. 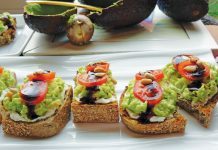 When you are retired, you get used to a lower income that has to stretch as far as possible, so that you can carry on without drastically changing your lifestyle. 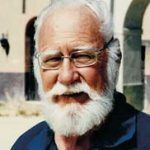 In my case, for the last four years, our RV touring was restrict ed as a result of my wife’s illness, and when she passed away last June, she demanded that I continue doing all the things we used to do together, and this included staying involved with the RV Lifestyle team and actively promoting safety in the RV Industry at meetings and rallies across North America. 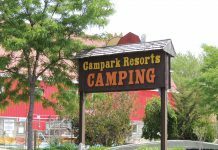 So the decision to buy a replacement for our trusty but rusty motorhome came down to talking with our friendly RV dealers to find an gently used RV that would fit the bank account and my style of travel. 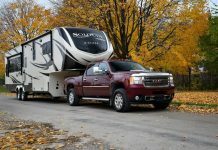 Every RV dealer in Canada maintains a listing that includes not only their new models, but also a selection of nearly new units that probably have logged many miles on the same roads that you want to travel. 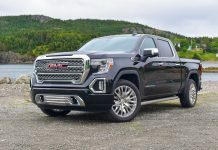 For many years, Irene and I travelled around the country towing a 27-foot travel trailer with a Chevy Suburban that always had a Hobie Cat racing boat on the roof rack. 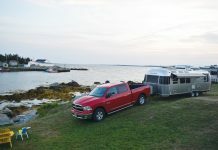 As muscles got weaker and our boys went out on their own over the years, we decided to try the motorhome lifestyle, and we towed our race boat to sailing regattas. The motorhome with boat trailer in tow was much easier and more comfortable for travelling across the country to national sailing events. 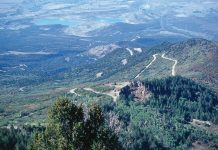 We were hooked on motorhome travel as an RV vacation lifestyle, and we spent many wonderful years as members of the Citation motorhome club, traversing the continent and relishing the freedom that only the RV lifestyle can provide. 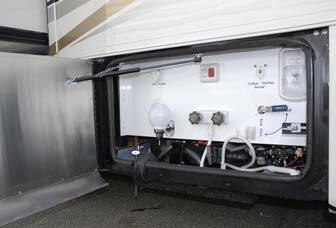 The water system is centred in this com-partment, with all the valves and bypass options appropriate for an RV that travels from the Canadian winter to tropical climates. 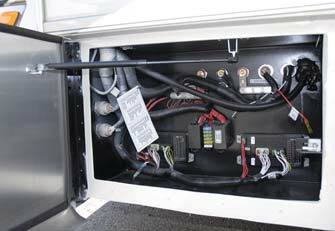 Fuses are always a bit of a mystery in a modern RV – the Allegro has a handy guide attached to the main cable in the electrical control compartment. 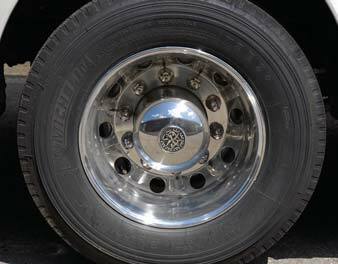 Nothing enhances the ride and handling of a motorhome more than a great set of tires – my rig rides on Michelin XZE 2+ radials. 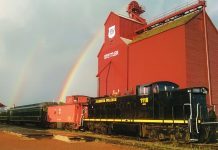 After Irene passed on, our boys decided that it was a good time for me to relocate to Cobourg, Ontario, where our family roots go back more than a century. 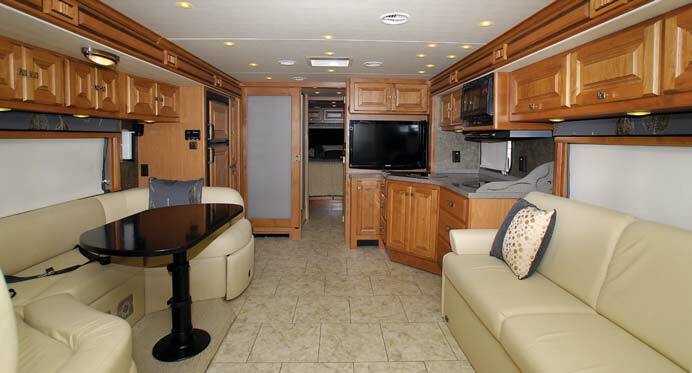 Like so many retired RV’ers, I decided that selling the house in Toronto would provide sufficient funds to purchase a home away from the big city, and a new(er) RV. 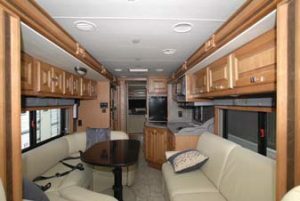 I found a really sweet gently-used 32-foot 2012 Tiffin Allegro Breeze, at McPhail’s of Harriston. 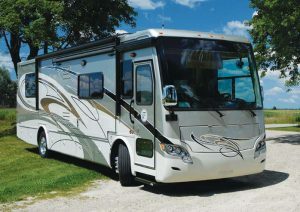 This unit is very similar to the one that Editor Norm road tested for a cover and a major feature in RV Lifestyle Volume 40 Number 6, and he really liked the vehicle – he still lists it as his top choice for when he decides to retire… So our 35-year old, 35-foot Citation Class A was replaced by a four-year-old Tiffin Allegro 32-footer that definitely will allow me to travel in style. 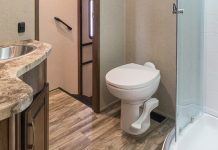 The 32-foot motorhome has a compact but well equipped bathroom. The new (to me) Allegro Breeze features all of the luxuries I could ever ask for, in a more compact class A con-figuration. 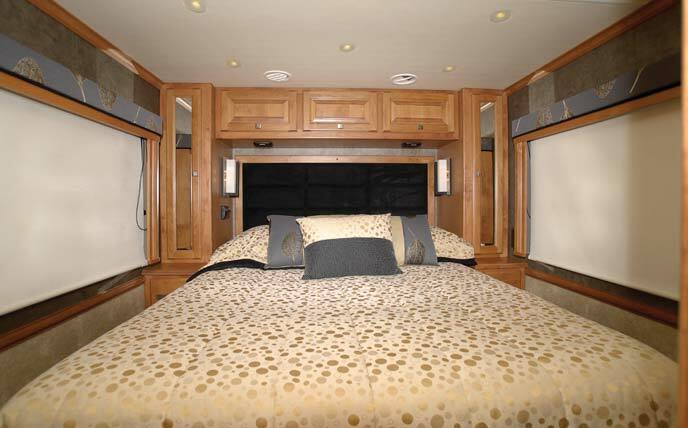 The old Citation pre-dated the slide-out era, so the twin slides on the Allegro Breeze definitely add a significant amount of interior space – and the many technological refinements of the 2012 Tiffin chassis far exceed the sophistication of the 1981 Citation… about the only similarity between the two motorhomes is the tires – and only because I had replaced the Citation’s tires with a fresh set of Michelins just a few years ago. 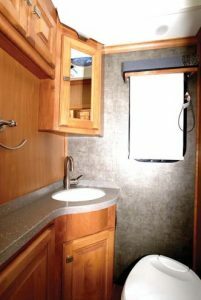 Choosing a gently used RV can be a wonderful way to stretch your budget. 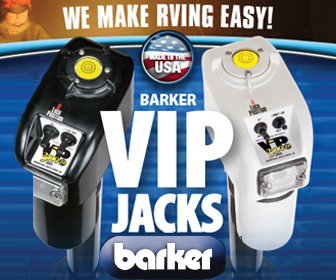 The most important step is to find an RV dealer who can work within your parameters… in this respect, we are all very lucky to live in a nation filled with dealers who are members of the RVDA of Canada, whose business ethics and customer service track records are the class of the industry. 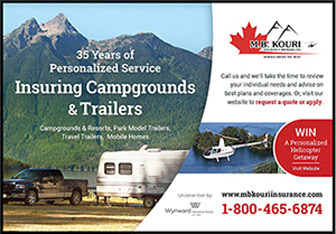 If there is a new (or new to you) RV in your future, you can’t make a better decision than to consult the various RV dealers who participate in RV Lifestyle Magazine, and if there are no dealers show from your area, check out the listings at www.rvda.ca then click on “public site” and click on “member directory”, and click on the province of your choice. I hope to see you down the road. Plenty of room to walk around the bed, and enough closet space for my needs.